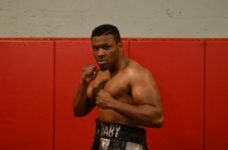 Posted: Wednesday, September 28, 2016. 8:41 pm CST. By BBN Staff:Yesterday, BNTU Orange Walk branch met with their membership. 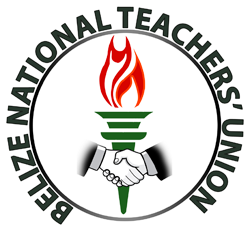 Teachers were asked to participate in industrial action planned by Belize National Teachers Union (BNTU) countrywide. According to CTV3 news, the president Otilio Munoz said that this plan was welcomed with open arms by teachers of Orange Walk. Otilio in his interview, stated that the strike action is vital for the general membership. He said that about 190 teachers were present at the meeting and all of them shared the same sentiment to stand in solidarity with their union and they will participate in the industrial action. He shared that at the last meeting some 300 teachers were present and they had given them the mandate to proceed with strike action. In 2005, the BNTU went on strike for a week in a campaign against the government at the time on economic issues and Munoz believes that this time around, a larger percentage of membership will support this industrial action. Also noted is that a large support base is expected from high school teachers. The BNTU is now facing a lot of criticism from the government for deciding to proceed with industrial action. They are being accused of not acting in the best interest of the children. Munoz said that is misleading information as teachers are simply acting in accordance with what they teach inside the classroom, to stand up against wrong doings. He emphasized that the BNTU’s action is about the issues that need to be corrected and has not acted political but rather the fact that teachers have recognized that these issues affect every Belizean, and as an educator it is a teaching opportunity to teach students to stand up. “2005 it was the PUP in government that was in and we had the UDP that was with us together with the BNTU was fighting then and intimidation and things will always happen, it is an norm in Belize because that is the way how we operate and we cannot get rid of it and this political thing will always be present and this is our country and this is what happens around us but I want to make it clear that the BNTU action we had never had any political thing against any government we deal with the issues we don’t deal with any political leader and want to make it absolutely clear as well that BNTU has never and will never have in our agenda that we need to through down the government we are not doing that and that is not our job, what we are dealing is with issues that need to be corrected by the government we did that in 2005 and we are doing it again in 2016. I strongly believe learning doesn’t only takes place in a classroom, learning can also be taken out, as an educator you are teaching children to stand up for what is right that you need to stand up against anything that is wrong and if you area teaching these values in our schools it is ironic to be having teachers not standing up when they should be standing up and these are issues that affect every single one of us, the teachers go beyond the call of duty, the teachers are there for the children and I know that there are some parents that will stand up because we are the ones who cater for their children when mom and dad doesn’t have enough money to feed their children send them to school without breakfast a teacher cannot perform because that child is hungry and we have to find to cater for them that is our responsibility,” he said in ending. Citizens Organized for Liberty through Action (COLA) and the Belize Sugar Cane Farmers Association (BSCFA) have pledged their support to BNTU.